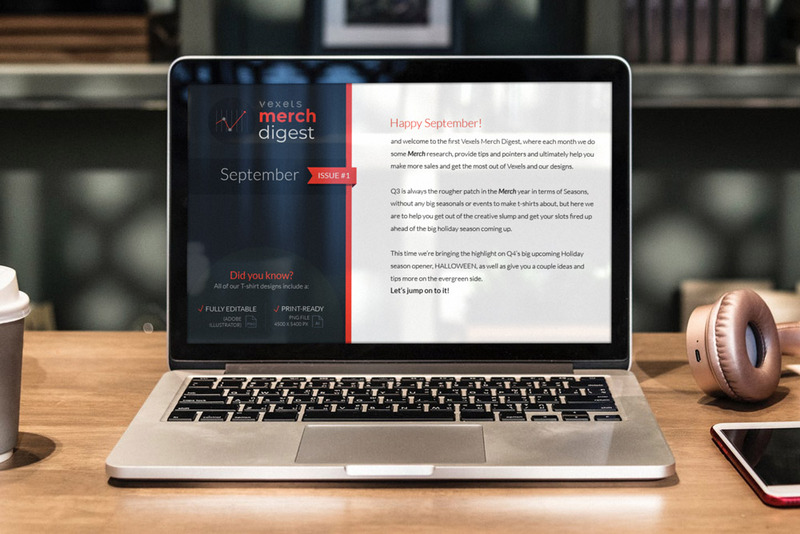 Today we’re happy to announce our Merch Digest, the new asset for subscribers. We know what you’re thinking: What’s the Vexels Merch Digest? It’s our very own information powerhouse with actionable data and research on seasonals and evergreen niches to explore (along with the graphics you need to conquer them!). But it’s also where you’ll find business advice, freebies, and more. Halloween: everything from Merch t-shirt designs, niches, keywords and more for this month’s seasonal. Halloween Freebie to create your own designs. This month’s evergreen niche, with t-shirt design tips, recommended t-shirts on the site, tips and more. So, what are you waiting for? Take a look at the Merch Digest here! If you’re looking to know all about selling t-shirts online, check out our Essential Guide to T-shirt selling online.